Mother’s Day cards — I went in for one card and ended up coming out with five. How!? I love the cards with extra embellishments on them, they are just too pretty! Flowers — Never did I think the drugstore carried fresh flowers but I was presently surprised to find out that I could snag a pretty bouquet to brighten up the kitchen. 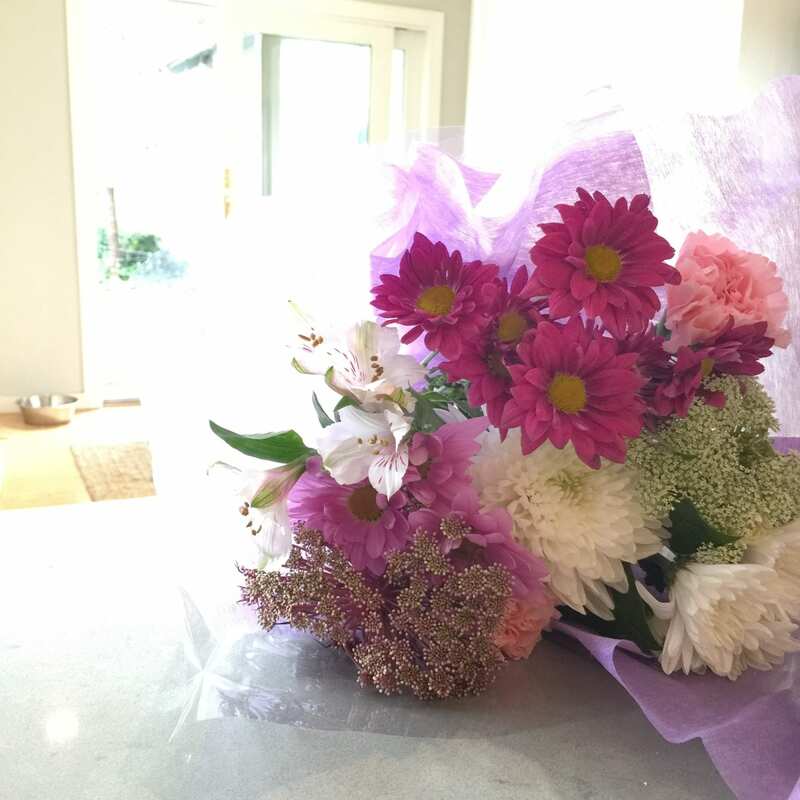 These flowers are still going strong and it’s been three weeks! Not bad at all! Simple Micellar Cleansing Water — I’m a self-proclaimed makeup wipe lover from previous posts here and here and here because they are so easy to wipe off a full-face of makeup. I tried the Simple Micellar Cleaning Water a few months back and am already back at CVS for my second bottle. This is great to use for removing makeup similar to their wipes but I like that you can also use it to rehydrate a nearly-finished pack of face wipes. Love how it leaves my skin clean and without a sticky residue. Cotton rounds — Clearly I’ve been living under a rock because I haven’t tried these until just now (seriously?). I like using these with my Simple water because they don’t leave a trace of cotton on my face. 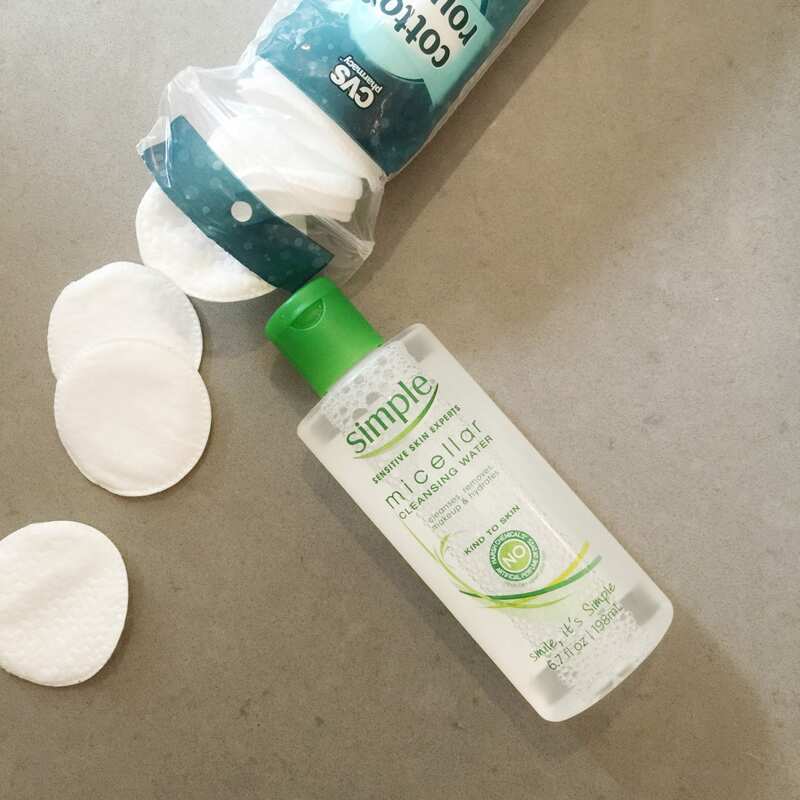 Travel hack!–Put some cotton rounds in a ziplock bag and add Simple Micellar water to make your own travel size “wipes”. The cotton rounds will be ready to go and you don’t have to bring the entire bottle! Bristle body brush — I’ve been wanting to try a bristle brush that could be used for in-shower cleansing or also used for ‘dry brushing’–rubbed on dry skin to exfoliate and remove dry skin. I like that this brush has little massagers built into it too. Will let you know how I like it! Dove Deep Moisture Body Wash — I’ve repurchased this a handful of times now and like the moisture it gives me. It comes out of the bottle like a lotion but forms a thick lather when used with a shower pouf or brush. It feels like using lotion in the shower and my skin has been loving it! 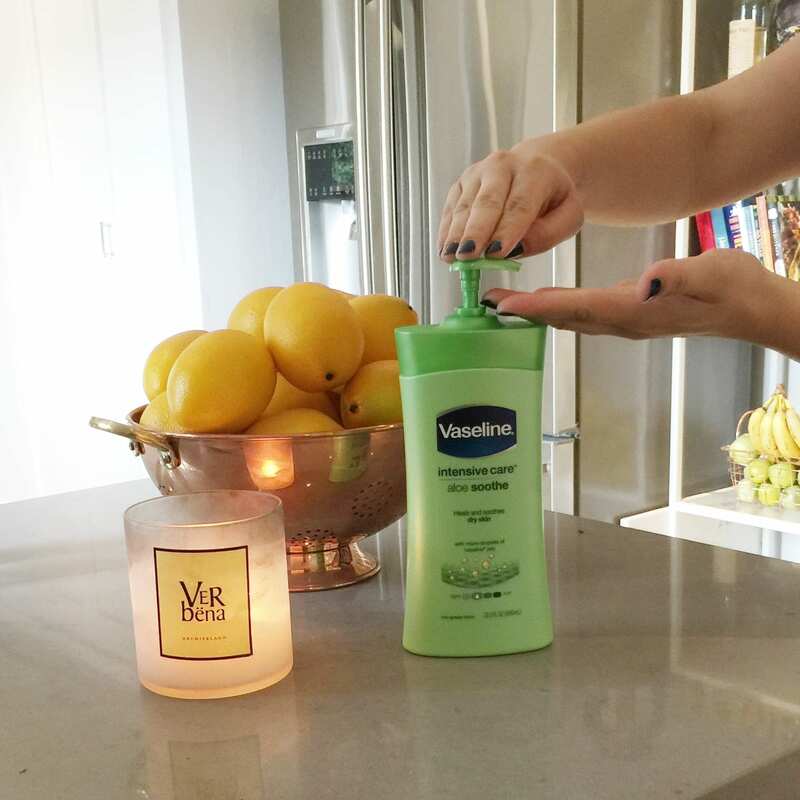 Vaseline Intensive Care Aloe Soothe — I like to apply lotion post-shower or right before bed, so naturally I’m running through a lot of lotion! I wanted to try this one for the added aloe. Since it’s spring and I’m spending more time outdoors (with suncreen on!) I wanted the added benefit of aloe to moisturize my skin. I’m loving the aloe scent and my skin has been loving it so far! 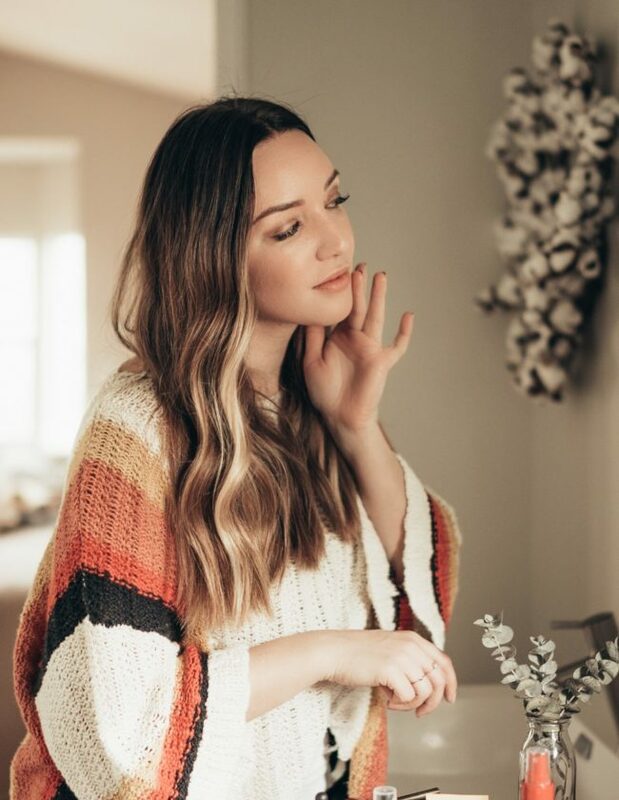 What are some of your spring favorites from the drugstore? Are you like me where you go in for one item and come out with an entire bag? 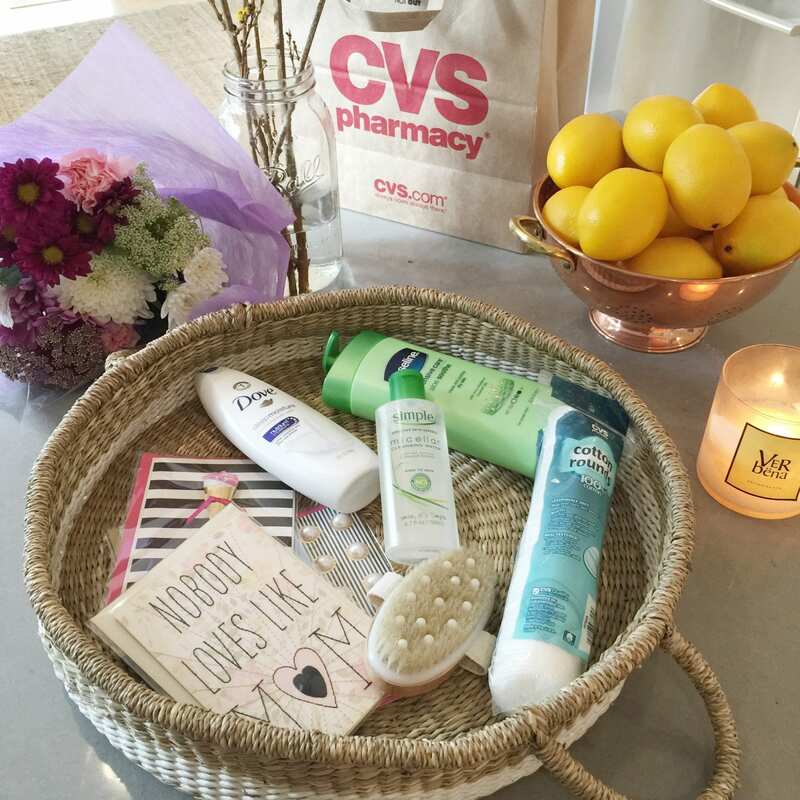 If you’re headed to CVS to stock up yourself, you can get $1 off any 2 participating Dove, Simple, and Vaseline products when you check out the CVS Love Your Skin campaign video here. In partnership with Lunchbox, all opinions are my own. I do the same thing, but my habit of going in for one thing and coming out with several happens everywhere! I love good inexpensive drug store products like these. My favs are ELF makeup and witch hazel. Oh, your so not alone. And you always see something you forgot on your list too. Love Dove’s body wash. CVS is super convenient for us it’s next to the grocery store which makes it easy to grab what we need too. I definitely want to try that Simple Micellar Cleansing Water and Dove Body Wash is my favorite! I’m gonna have to try the Simple micellar water once I run out of my Bioderma! I get sucked in to the lotions and soaps available at these stores too! you can find some great things at the drugstore. it’s worth it to wander around. If CVS is bad, you can just imagine the time I have at Target! I wish our local CVS carried flowers, that would be a nice little thing to pick up for myself! The drugstores can have really good deals.Never fails but I go in for one thing come out with a bunch more. I love buying makeup and nail polish at CVS. I can’t enough of their candy selection as well lol I collect the $1 items for Christmas stockings, also I’m addicted to magazines ha! Vaseline lotions are some of my favorites. That’s a pretty arrangement of flowers. That is quite a nice haul. I’ve heard about the Micellar Cleansing Water and would love to try it out. I love that you can get all these things at the drug store. I have the very same Vaseline hand cream. These are all really great drugstore items. I love the Vaseline Intensive Care lotion. Is there such a thing as just picking up the item you went in for and not everything else you see. A drug store is the worse spot for me to pick up extra things I didn’t originally go in for. I can’t find a drugstore in our place that sells fresh flowers. If I’ll find one, I will be glad to give some to my wife. 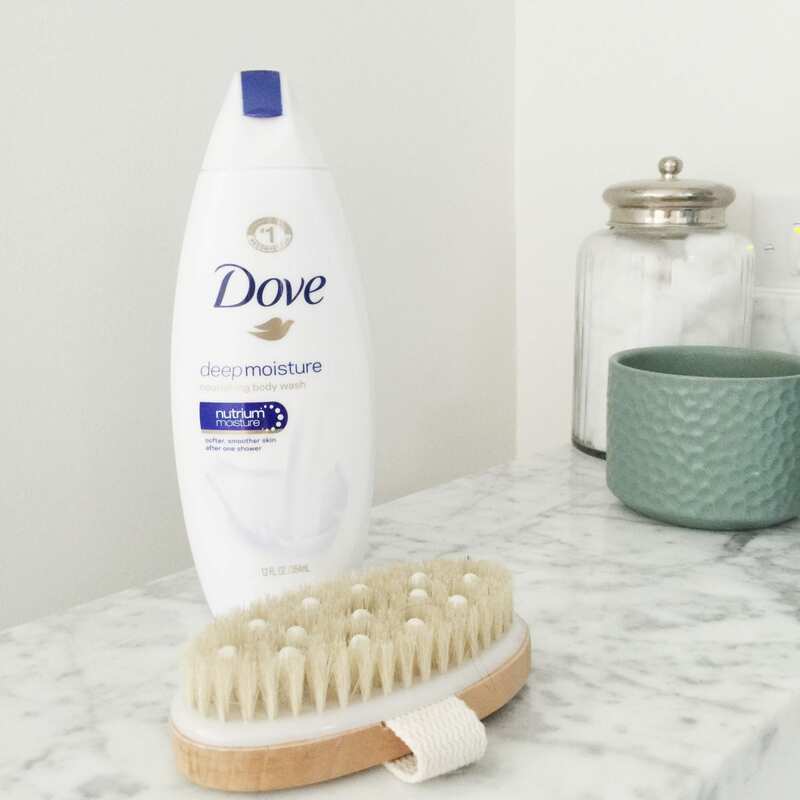 Love the Dove products, especially the body wash! Vaseline really never disappears from our own set of skin cream. Good job with the hauls, you probably converted some people into sing those products! Dove and Vaseline are two of my favorite products. I use Vaseline lotion daily and I love it. I mainly use it after taking a shower. I also love using Dove soap. I love Dove it always keeps my skin super soft and I am the same I always buy more than I came to buy. You definitely had a really great haul! I love grabbing fresh flowers from the supermarket but like you, I had no idea I could do the same from my favorite drugstore. I have been thinking of trying the micellar water and hope to do that soon. Definitely a lot of great finds! I had no idea CVS sold flowers, your arrangements are absolutely stunning, and it’s great they’ve lasted three weeks. I agree, I never walk into any store and only buy what is on my list. I keep hearing about Micellar water, but haven’t used it yet! I think I definitely want to try it out!